One of Sony’s biggest focuses going into E3 this year was mak­ing their plat­form more acces­si­ble in terms of devel­op­ment and pub­lish­ing. With that promise in mind, the console-maker brought along a parade of titles devel­oped by small teams that will be avail­able for the PS4 down the line. 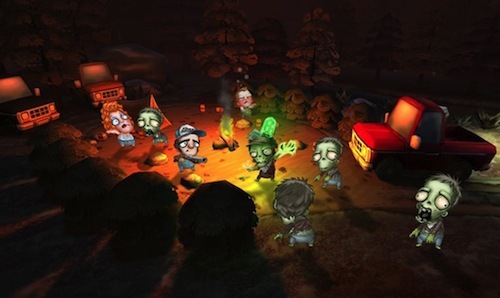 One of my favorites that I got to try ended up being Ray’s the Dead, a zombie-based game that had some inter­est­ing ideas. One of the biggest new things to come out of gam­ing on smart­phones is the con­cept of free-to-play games. Like any new con­cept that hits it big, the mar­ket has been sat­u­rated with these titles and some shady busi­ness prac­tices have already emerged. True enough, in this model of game devel­op­ment, the money has to come from some­where, but find­ing a way to do that and still make a qual­ity game is not some­thing we’re see­ing a lot of out of that mar­ket. 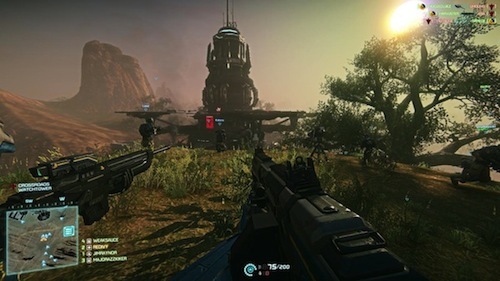 Sony Online Enter­tain­ment, with the release of the PS4, is look­ing to change that by offer­ing up some titles that take advan­tage of the free-to-play model while still main­tain­ing a high level of qual­ity in their games. Fathers Day is a time to cel­e­brate those unsung heroes: the fathers. That par­ent who makes sure you know right from wrong and is always will­ing to get their hands dirty. The unwa­ver­ing gran­ite that you can always rely upon. Today how­ever, I’m not just here to talk about any old father, I’m of course here to dis­cuss MY father. So, with­out fur­ther ado, I give you 5 things I love about my father. First-person shoot­ers are among one of the most pop­u­lar gen­res in gam­ing today. As such, they come in many shapes and sizes span­ning from epic war scenes to the reaches of space. One thing that is too often not a fac­tor of most modern-day FPSs is real­ism. 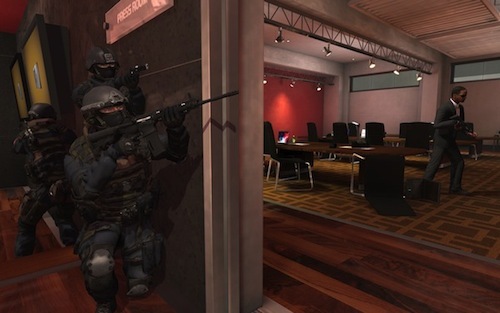 TAKEDOWN: Red Sabre looks to address this over­sight by includ­ing many real­is­tic ele­ments to cre­ate a new type of tactical-based first-person gameplay. 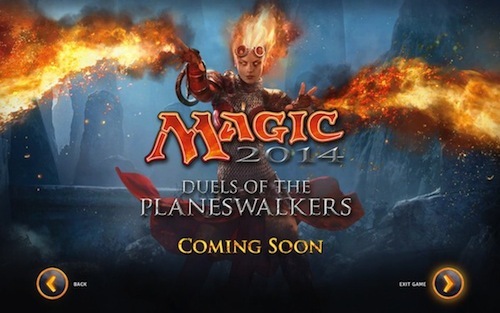 This year the pre­miere fan­tasy trad­ing card game, I’m of course talk­ing about Magic: The Gath­er­ing, invites you to “ignite your spark” with the lat­est ver­sion of their dig­i­tal game Magic: The Gath­er­ing — Duels of the Planeswalk­ers 2014. The game fea­tures a slew of new fea­tures and improve­ments over pre­vi­ous entries and an even more excit­ing story to fol­low. With new modes, cards and plat­forms to play on, this is one you’re not going to want to miss. Sur­viv­ing the zom­bie apoc­a­lypse seems to be some­thing that is on a lot of people’s minds. 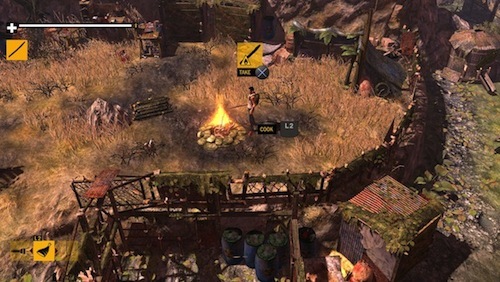 Even in video games, it seems like there are quite a few titles that mainly focus on stay­ing alive after the undead take over the Earth. Most of the time, the focus of this is mak­ing sure you’ve got the wares to be able to pro­tect your­self from the masses of ghouls. 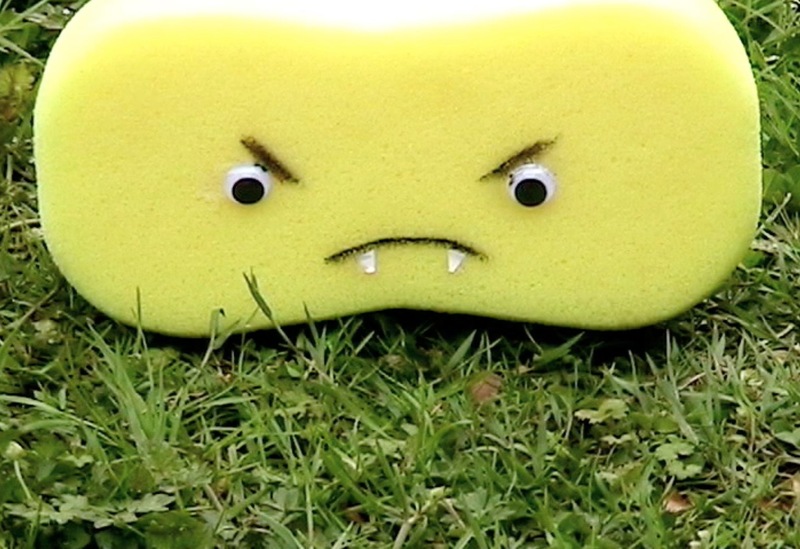 While this is cer­tainly impor­tant, there is one part that I feel is often over­looked: your basic sur­vival needs. This is a fact that How to Sur­vive takes into account to pro­vide you with a more immer­sive zom­bie sur­vival experience. There are a few sta­ples that belong on every sys­tem Nin­tendo puts out. You’ve got to have a 3D Mario game, you need a Smash Bros. title, but no sys­tem is ever com­plete with­out its Mario Kart game. 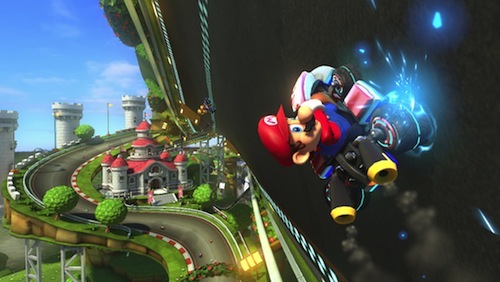 Revealed dur­ing the E3 Nin­tendo Direct, Mario Kart 8 is the next major con­sole release of the rac­ing series that has greatly influ­enced the kart-racing genre. To this day, some of the most beau­ti­ful and thrilling games avail­able out there for Sony plat­forms have been put together by one team: Quan­tic Dream. 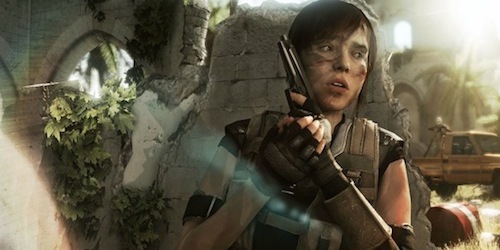 Their lat­est game, Beyond: Two Souls takes what they’ve learned from pre­vi­ous titles, like Heavy Rain and Indigo Proph­esy, and builds upon those ideas in mean­ing­ful ways. Putting the player into more intense action, the demo at the E3 booth drops you right into the game for a taste of what Quan­tic Dream is bring­ing to the table this time around. 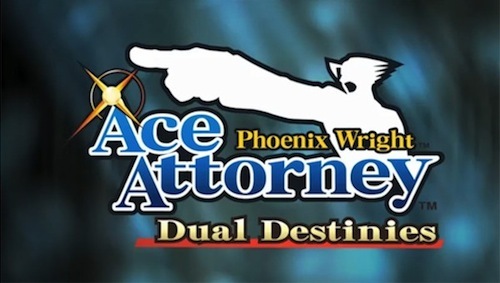 Ever since they first released the Japan­ese trailer for Phoenix Wright: Ace Attor­ney - Dual Des­tinies I’ve been fever­ishly hop­ing it comes to the states.  My wish was granted and I just fin­ished play­ing the English-language demo for the game on the E3 show floor. With the jump from DS to 3DS, the game comes with a num­ber of enhance­ments that makes the move feel worth­while while main­tain­ing the feel of the series that makes Phoenix Wright feel fun and quirky. 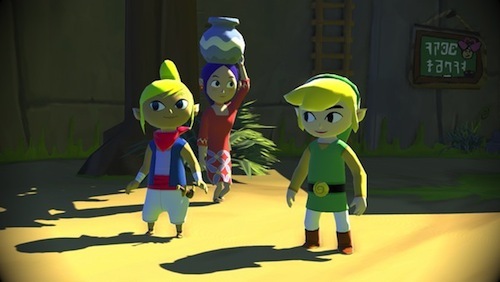 I remem­ber the unbri­dled joy the first time I was able to get my hands on The Leg­end of Zelda: Wind Waker when it pre­miered back in 2003. The vibrant visu­als and col­or­ful cast of char­ac­ters imme­di­ately sucked me into that world and refused to let me go. Lit­tle did I know that the game could look even more amaz­ing than it already did when met with the power of an HD console.